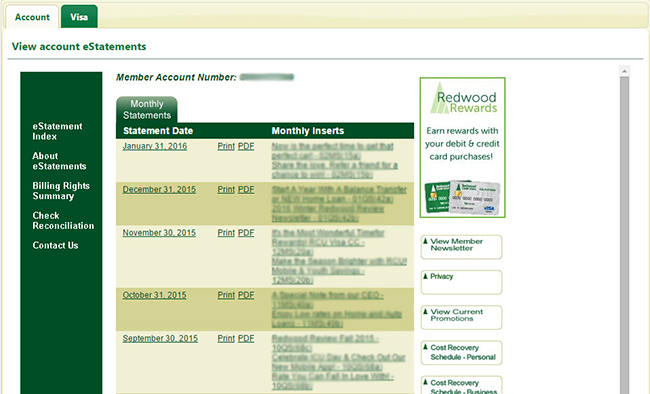 Your RCU account statements are available up to 36 months for free through RCU Online banking. 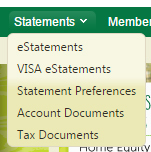 To view or download your statements, log into online banking and, under Statements on the top menu, click on eStatements. Pop-up blockers must be disabled and you need a pdf reader like Adobe Acrobat Reader installed on your system. If you do not use online banking, or need a statement older than 36 months, you may request your statement by calling our Member Service Center at 1 (800) 479-7928 or by visiting any RCU branch. There is a small fee for this service. How can I get a copy of my account statement?